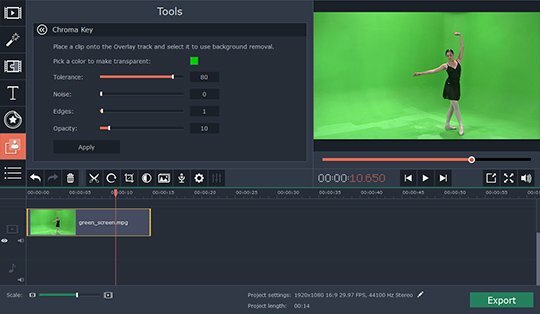 Want to learn how to use green screen software? 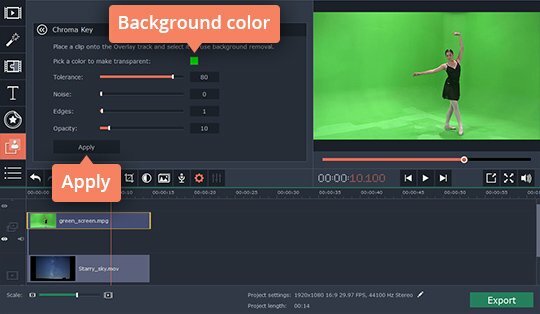 Even if you are not familiar with the term, you have seen the Chroma Key effect on TV, when actors are shot against the green screen that later is replaced by burning cars, collapsing skyscrapers, or landscapes of astonishing beauty. You can create your own video with the very same effect using the following simple tips. 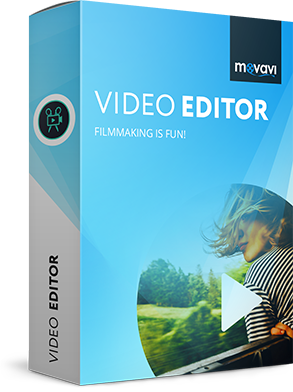 Just shoot your video in front of solid color backdrops, then download Movavi Video Editor and initiate the backdrop removal by making this solid color transparent. Finally, add a background video clip that you find good enough. 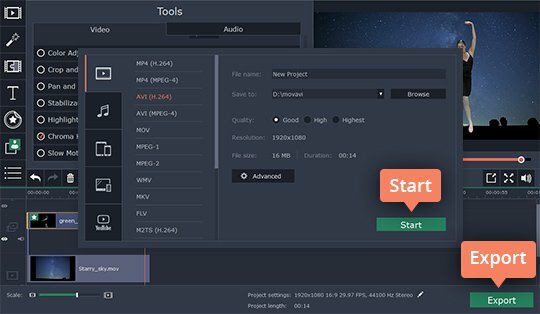 Get the power of the professional editing tool on your desktop! These simple steps will teach you how to use chroma keying in our green screen software. 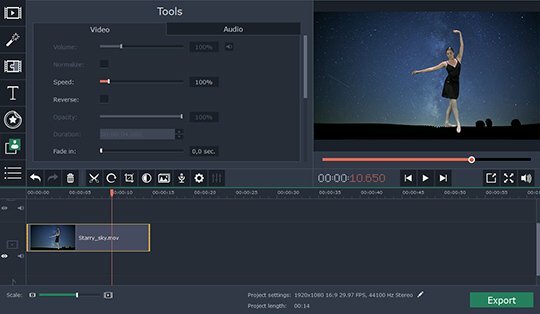 Download Video Editor for Windows or for Mac. Then run the installation file and follow the on-screen instructions. 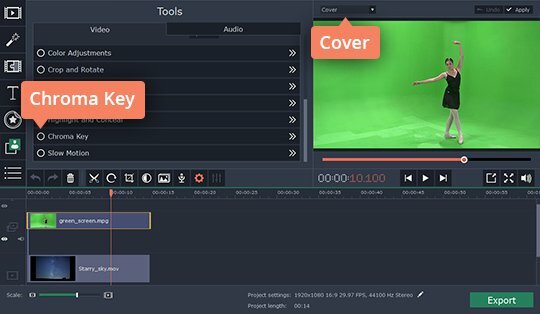 Launch the green screen video software and select Create project in full feature mode. 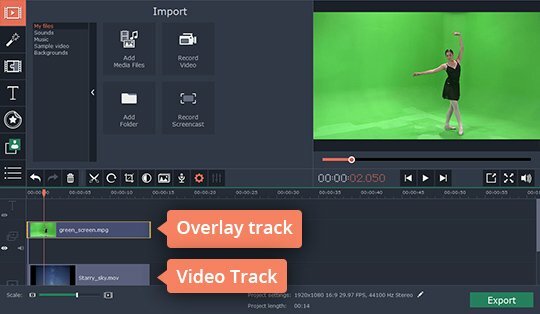 Then click Add Media Files and import two files to the program: one with a solid background color and another one – with necessary background picture or video, which you want to add to the first file. Both files will be added to the video track on the Timeline. You’ll find a wide selection of clips with solid backgrounds and interesting animations on VideoBlocks – our media partner site, which provides licensed video content at a reduced price. Click Sample Video (or visit the VideoBlocks page) to learn more about this option. First, select the foreground video on the Timeline and drag it up. A new Overlay Track will be created. Drop the foreground video onto to the Overlay track, leaving the background clip on the main Video Track. Double-click the foreground video on the timeline, choose Cover from the list above the preview window and then click Apply. Now your foreground image completely covers the background image. Locate and open the Chroma Key option in the Tools menu. After that, click the background of the video in the preview screen. The color of the little box in the Chroma Key menu is now the same as the background of your video. Adjust the Tolerance, Noise, Edges and Opacity sliders so that the background video is clearly visible. Finally, click Apply to complete the addition of the Chroma Key. Your blockbuster is almost ready to receive some dazzling reviews! 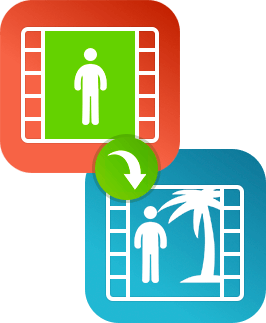 Click the Export button and choose the option that best suits your needs: save as a video file, upload online, or convert for viewing on a mobile device. Then click Start. As you see, video editing is easy! 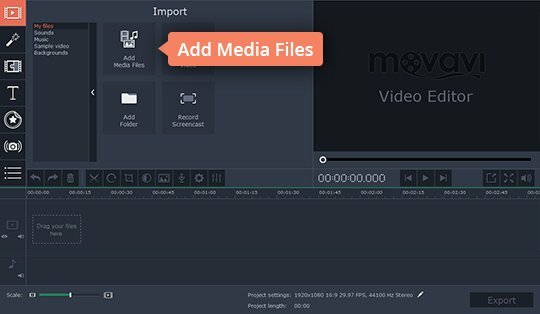 Make magic videos with Movavi Video Editor on PC or Mac!